Our wonderful artist. She's a visual designer with over eight years of experience. Her work comprises of interdisciplinary projects ranging from small- to mid-size businesses, interactive learning objects for post-secondary institutions, graphic design, UX research and design, and web development. She’s also an avid photographer since 2009, specializing in commercial photography, food styling, and weddings. Oya Baka International Productions has produced a series of children's picture books with two adorable characters J and K.
Here you'll also find many English learning books, music CD's, videos and more! 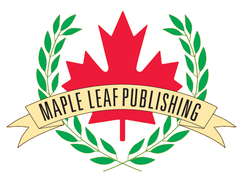 Establish in 1999, Maple Leaf Publishing creates teacher friendly EFL books and CD's that not only teach, but also make the children want to learn. They keep personal contact with teachers in the field to get their feedback. Their materials are always evolving and get better with each new printing. They've got great weekly specials and events happening. So if you haven't tried their fresh lunches, desserts, drinks or daily specials, now is the time. Enjoy the friendly and fun environment with their team day or night, weekend or weekday, you'll always be welcome with open-arms! In case you haven't heard, they want you to know that they are Nagoya's only Commonwealth Pub and Restaurant that offers completely non-smoking indoor seating! Have no fear if you are a smoker, they have a beautiful outdoor patio that allows smoking daily after 2 PM. So you can enjoy fresh air everywhere! Their second floor is great for mid-size parties and groups to hold private events. Just ask anyone of their team for details and booking information! Coat of Arms- Fresh is Best!